The ELEMNT BOLT Computer Bundle is a streamlined update to the original ELEMNT, offering an impressive 1.5-watt savings with 50% less air resistance. This might not seem like a big deal, but it saves something in the magnitude of 12.6 seconds over a 40-kilometer time trial at 21 miles per hour, which can be the difference between winning and losing. Not only is it incredibly svelte for a slippery profile, but the integrated out-front mount provides a cleaner aesthetic while tilting ever-so-slightly for quick reading. Seeing as how the original was a hit around the office and with riding partners alike, the ELEMNT BOLT is a solid choice for competitive riders seeking all the bells and whistles of the original ELEMNT, but in a sleek, aerodynamic package. Gaining watts is only half the story, with the ELEMNT pleasing the tech-savvy gurus in all of us with its GPS-derived stats, alongside a host of bundled ANT+/Bluetooth Smart sensors for gaining heart rate, cadence, power, and speed data. Set-up is a breeze with Wahoo's free Companion app dialing in every last detail, such as customized workouts, as well as syncing with the provided sensors and your favorite smartphone apps. Speaking of popular apps, it works with Strava Live Segments, so you can gain real-time progress to complete your goals. Another of our favorite features is the Turn-by-Turn directions, which receives data from your smartphone to deliver accurate bike routes around town and the countryside. This ELEMNT BOLT bundle comes with dual-band sensors that are both ANT+ and Bluetooth Smart compatible, so you can use them with a myriad of cycling computers and electronic devices, such as your smartphone or tablet. The RPM Cadence Sensor accurately tracks cadence without a magnet, sleekly mounting to your crank arm or neatly tucking inside your shoe. For accurate speed measurement, the RPM Speed Sensor neatly mounts to your front hub with its secure silicone casing. And because serious cyclists demand heart rate monitoring for a number of exercise and training regimens, Wahoo includes a TICKR Heart Rate Monitor that's compatible with numerous smartphones, Apple Watch, third-party apps, and bike computers alike. I tried the Garmin Edge 1030 -- numerous times. None even made it out on the road (updates out of the box bricked them all). I bought this as an alternative to Garmin and its been problem-free since. It is easy to read, easy to customize, intuitive, and acquires location super quick; essentially all the things you'd want in a GPS/computer. Ideally it'd be color, but I'll take functioning over bells and whistles that don't anytime. It does look great tucked up front, tho. The Wahoo Elemnt Bolt was extremely easy to set-up. After the Wahoo App was downloaded onto my phone, I could customize the computer to my preferences. The sensors were easily paired with the computer and I've seen no issues during my rides. Syncing to the phone and other programs like Strava are seamless and carries over most of the data, which I love being a data nerd. The only knock I would have on the computer is if you are using the GPS function, it is rather small so it can be hard to see where to turn. Other than that minor observation, I love everything about the bundle. Set up is stupid easy! I've been really happy with the Bolt so far. I've found that I miss the color screen on my 520 a bit, but the ease of strava/trainingpeaks downloading has outweighed it by far. Stay tuned for updates! Switched from Garmin and very happy! For the past 4 years I've used a Garmin Edge 510. Decided it was time for a upgrade and I was tied of the clunky setup and poorly working speed sensor. Right out of the box I was impressed with Wahoo Bolt. All three sensors (speed, cadence, and HR) came with batteries installed and paired immediately. Speaking of pairing, if you are a smartphone user this is the cycling computer for you! Gone are the days of using the buttons to slowly navigate through setup menus. The Wahoo app is well designed and super easy/fast to use. I linked my Strava account and instantly all my routes were available in the app. One tap and they were downloaded to the Bolt. I'm super impressed, highly recommended! The Element Bolt is super un-fussy. The buttons and tactile and not hard to get to with or without gloves. The B+W screen is no frills and easy to read in alot of sun and when the sun is down the backlight helps. The GPS working with Strava and directions has worked without issue. With HR, Cadence and Speed accessories, fantastic pieces of kit that help me to enjoy my ride while getting the metrics that help me to get info about my ride. Solid. I rresearched bike computers for several months and finally decided on the Wahoo Elmnt Bolt. Set up was easy using your cell phone makes screen set up a lot easier that other computers that require multiple clicks on the tiny bike computer screen. It pairs easily with the Wahoo sensors as well as my ANT+ power meters. I would strongly recommend this product. I did so much research and comparison between Garmin 520 and this. Decided on this based on simply the battery last longer. It used up 50% from a full charge for a 7 hour ride. My ride buddy has 520, which also a good unit, but I didn't like the color UI besides the battery. It is very easy to read under bright daylight or any weather condition. 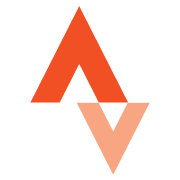 The mobile app is easy to use and share to Strava too. Huge upgrade from Cateye and using Strava app alone. I have had the Element Bolt for three weeks and maybe a dozen rides, road and mountain. Switched from a Garmin 510. It is definitely a huge step up in software and hardware. It was very easy to set up and go and the more I learned about it's capabilities and refined my display the better it got. I like that if you want to change bikes they make it easy including speed and cadence. All of this only works this well if you pair it with a smart phone, otherwise it would just be an average computer. I use Strava and it automatically downloads my ride as soon as I hit the end of ride button. By the time I get in the house it is on my Strava page with all of the details. The only downside is that the cadence sensor does not always work under 65 rpm. Climbing on my mountain bike means that it will often drop out. Element is the next generation, Garmin has some catching up to do. I don't think so. Pairing with my phone and sensors was seamless and a snap. The screen is easy to read, the buttons are easy to use (even with lobster gloves). All without being too large - it doesn't look like i have a tablet sticking off the front of my bike.